A key scene and nice mash-up both drawn from Douglas Sirk’s great 1959 Technicolor version — a cannily updated remake, as it happens — of a racially charged classic-era soaper, “Imitation of Life.” I was bummed to miss this film, and a very rare appearance by Juanita Moore who plays the maternal paragon, Annie Johnson — at the TCM Classic Film Festival a couple of weeks back. Admit, that got to you just a little. That’s beautiful Susan Kohner there, passing for “passing” as it were, as the classic “tragic mulatto.” Somewhat politically incorrect casting aside, she was pretty amazing in Sirk’s film.Anyhow, here’s a pretty cool mom-centric mash-up from the film — and this one doesn’t mess with the aspect ratio and it features a compelling bit of music from girl-group greats, the Shangra-las. Now that’s it been a few days and I’ve had some time to adjust to the realities of the post-my-ankle-sprain world, it’s perhaps time for me to take a moment to reflect a bit on what I learned from my rather hectic but definitely fun and enlightening time at the TCM Fest which, as previously reported, turned out to be a fairly roaring success and is destined to be repeated next year in Hollywood. Because of time constraints and because I wasn’t able to enjoy the truly titanic number of films seen by, say, a Dennis Cozzalio — currently working on a detailed and sure to be great summary of the event — I’m going to limit myself to a few random observations covering material I have not mentioned in prior TCM-centric posts. (Here, here, and here.) Naturally, it’ll still turn out to be much longer than I originally intended. Note: You may have noticed that I haven’t been posting much here lately. Though I plan to keep FtY on life-support indefinitely, my main blog-home at present remains Premium Hollywood and I encourage all and sundry to follow me on via Twitter and/or Facebook, where pretty much everything I do will get touted for your convenience. Though I’m allowed something close to complete and total freedom there, my regular blogging gig at Premium Hollywood doesn’t really permit strictly political acts of gloating. So, as something apparently resembling health care reform finally begins — and this is only a beginning — I find myself following the example of actual, real political bloggers John Cole and Matthew Yglesias and contributing in my own tiny way to what I hope may become a full on Internet meme recalling the memorable July 2009 words of one Senator Jim DeMint. This time, though, let’s first celebrate in the socialist language of Swedish and then in good ol’ free market English. I knew there had to be a reason why this is my favorite ABBA tune. And just so this isn’t entirely lacking in political content, here are a couple of links on today’s news to two political thinkers I respect, neither of whom gets listened to nearly enough, onetime Clinton cabinet member and U.C. Berkeley economist Robert Reich and my favorite contrarian journo with radical roots, USC’s Marc Cooper. My good friend and Memphis native, Wes Massey, turned me on to Alex Chilton at some point not so long after college and for that, I will always be grateful. For whatever reason — probably because it was what I heard first — I’m more of a fan of his wonderfully idiosyncratic yet oddly polished mid-to-late eighties solo recordings than his more popular work with Big Star, though that’s pretty great too. So, I’m returning briefly to FtY to celebrate a few moments with a first-rate musician and singer-songwriter who has left us much too soon. No one could cover semi-obscure soul classics with the same shameless panache as Chilton. While everyone else in the eighties was tarting everything up to the point of absurdity, he was keeping it simple and using a sharp-as-a-tack horn section that was integral to the sound, not window-dressing. Great stuff. Here’s “un étrange clip français” indeed in which said shamelessness in the art of lip-synching-your-single for TV is on display. Speaking of the eighties, this should have been a huge, huge novelty hit in a slightly better world. Note that its message is diametrically opposed to the song above. Most of my favorite Chilton tunes, both originals and ingenious covers, don’t appear to be available online in any embeddable way, so I’ll have to conclude with this interesting and ironic portion of an MTV 120 minutes profile from 1985. It is what it is and includes a beautiful version of the song Alex Chilton could never escape. 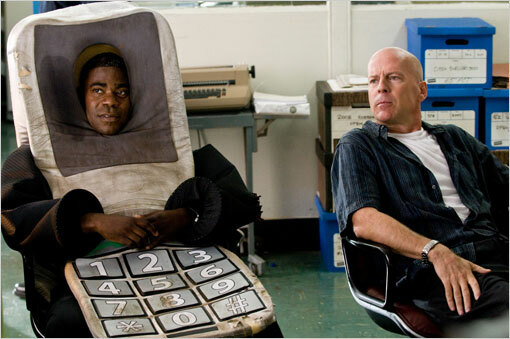 As bad buddy cop comedies go, “Cop Out” is perhaps one of the better ones. Taken as a piece of storytelling, it’s guilty of the capital cinema crime of trashing itself: repeatedly disrespecting its own reality. On the other hand, taken as a way to kill some time watching fairly skilled comic actors like Bruce Willis, Tracy Morgan and Seann William Scott be funny in a loose and genial way, it’s reasonably enjoyable. That, however, does not excuse its numerous sins. Directed by Kevin Smith but written by the TV scriptwriting brother act of Mark and Robb Cullen, “Cop Out”seeks to convince us that none-too-competent tough guy detective Jimmy Monroe (Willis) and zany neurotic Paul Hodges (Morgan) have been somehow functioning as partners in the NYPD for nine years. After a bit of excess zaniness by Hodges while dressed as a giant cell phone leads to the brazen murder of a hapless informant (Juan Carlos Hernández), neither Monroe nor Hodges is particularly concerned about their clear responsibility for the death. The missing paychecks from their resulting suspension, however, are a big problem. “In the Loop” is a broad and harsh satire in which the feckless and self-serving behavior of political operatives in Britain and the United States threaten to lead inexorably to a completely needless war. To all appearances, the war is not waged for any logical reason, but only to further the personal agendas of a few ego-addled politicos. Farfetched, isn’t it? 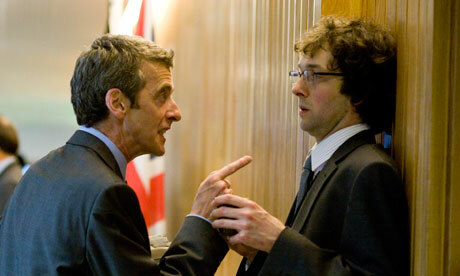 Directed by acclaimed British TV comedy veteran Armando Iannucci (“I’m Alan Partridge”), “In the Loop” is largely an extension of the 2005 miniseries, “In the Thick of It,” with its Oscar-nominated screenplay penned by Iannucci and a quartet of writers from the series. And so, “In the Loop” borders stylistically on mock-documentary. However, if it were an actual documentary, it would be in the category of, “I could send you a screener, but then I’d have to kill you.” It’s a real worm’s-eye view of the rush to a war of (poor) choice. And now a moment of NSFW…. If things had gone a bit differently, she might well have been as huge a superstar as such contemporaries as Audrey Hepburn or Natalie Wood — she certainly had the talent and screen presence to do so. 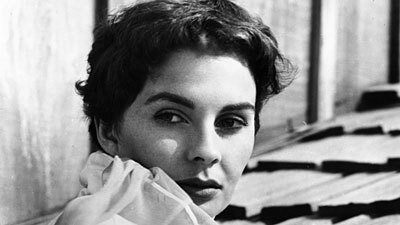 However, as I’m reminded by her New York Times obituary, an ugly situation involving a sexual proposition the married actress got from Howard Hughes likely prevented Jean Simmons from reaching the super-stardom she deserved as much as anyone. The vindictive aviation and filmmaking magnate may have deliberately put her in films he thought were inferior and refused to allow his film studio to lend her out for the lead in “Roman Holiday,” the role that deservedly made Audrey Hepburn a more or less instant star. Nevertheless, Ms. Simmons, who sadly passed on yesterday at age 80 from lung cancer, outlasted her Hughes contract and gave witty and altogether enchanting performances in numerous and diverse films, ranging from break-out teenage performances as the young Estella in David Lean’s still-definitive 1946 version of “Great Expectations” (she’d eventually play Mrs. Havisham in a TV production) and as Ophelia in Laurence Olivier’s 1948 “Hamlet.” As a puckishly beautiful adult actress who pretty much owned the word “luminous,” she had no problem quietly stealing scenes on an epic scale from the likes of Kirk Douglas in “Spartacus,” Burt Lancaster in “Elmer Gantry,” Gregory Peck in William Wyler’s underrated “The Big Country,” and, most famously these days, Marlon Brando in her only musical appearance, “Guys and Dolls.” Brando was easy to outshine musically though she was also easily his acting equal or superior, but here she shows she would have had to chops to almost hold her own musically with with costar Frank Sinatra, if only the script had called for it. What she lacks in polish, she more than makes up for in sheer commitment. An admitted survivor of alcoholism, Simmons was a class act on every level who famously complimented Hepburn on her great “Roman Holiday” performance, as painful as it must have been to watch and even though it’s not clear that she wouldn’t have been just as good in the role. She kept working through most of her life — her last significant role was her voice work in the English-language version of “Howl’s Moving Castle” — and her loss to the world of entertainment is not a small one. She was often low-key, but she was never dull. There’s more from David Hudson, Edward Copeland, Jose at the Film Experience, and Glenn Kenny. The L.A. Times also has an excellent and very detailed obituary. He was known for using plenty of words, but the pictures told the story, and what stories they told. More from Glenn Kenny and David Hudson. Dave Kehr has an obituary which is a pretty good rundown of Rohmer’s career. And here’s one more. Sorry about the double subtitles, but this is a clip of the great opening sequence of Rohmer’s “Love in the Afternoon” (sometimes called “Chloe in the Afternoon” to avoid confusion with the Billy Wilder romantic comedy). It starts out like classic Rohmer and ends with a bit of sci-fi. The breathtaking cinematography here is by the late Nestor Almendros. 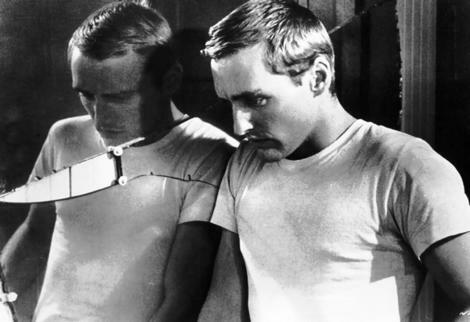 Whatever you do, when you see this one, get the Criterion version.